Author: Kramer, Reinhold Set In . . .
On 5 July 1899 Hilda Blake, a 21-year-old maidservant in Brandon, Manitoba, who had come to Canada from England ten years earlier as an orphan immigrant, shot and killed her mistress. Two days after Christmas she was hanged, one of the few women in Canadian history to die for her crime. 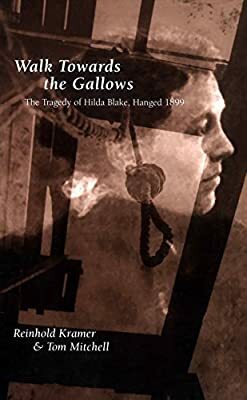 Blake unintentionally left a remarkable documentary record, ranging from Poorhouse records, courts dockets of custody and criminal cases in which she was the central figure, popular, journalistic, and professional assessments of her character, and a poem, 'My Downfall', that she penned in Brandon Gaol while awaiting execution. To explain why Hilda bought a gun and why she fired it, Kramer and Mitchell employee both historical and literary techniques. The result is a richly textured story of late Victorian social, cultural, and political life. This remarkable book - part mystery, part historical detective story - uncovers Hilda Blake's life, from her origins in Norfolk, England, to her tragic death. It also examines the lives of other principals in the story: successful Brandon businessman Robert Lane and his wife Mary, the murdered woman; Lane's business partner, Alexander McIlvride; Police Chief James Kircaldy; A.P. Stewart and his wife, Letitia Singer Stewart, the family for whom the 12-year-old orphaned Hilda first worked as a domestic servant; Rev. C.C. McLaurin, the Baptist minister who knew Hilda and counselled the condemned woman in her final days; social purity activist Dr Amelia Yeomans, who petitioned for clemency; Governor-General Minto, who urged the Laurier government to stay the execution, even Clifford Sifton, the MP from Brandon, federal minister of Immigration, and the most powerful western Liberal in the Laurier cabinet, for whom the case was a potential minefield.